Attractive two and three bedroom, detached cottages nestled between the 1st and 8th holes of the Links golf course. 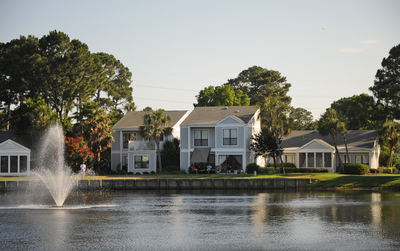 Fronts on a large lake with views of sparkling Choctawhatchee Bay and beyond. Close to all resort amenities.